HomeBe A #BeWoW Blogger TOMORROW!!! 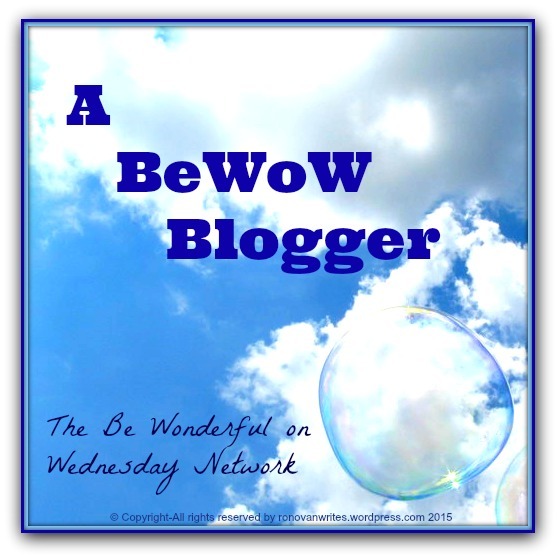 Be A #BeWoW Blogger TOMORROW!!! Write a post and tweet it with the hashtag of #BeWoW and I’ll RT it. Okay, I’ll RT it when I wake up. 🙂 And other bloggers will be RTing as well. Is RTing a word, well I mean like a social media word? Here is my original article about it. I would love to participate in #BeWoW Wednesdays! I even added that I’d be doing this on the Home page of my blog (adding your site info, of course)! Thanks for this idea! Wow. thank you so much. I was doing BeWoW just as a thing for myself then some other people said it should become a group thing. This is so nice. 🙂 Awesome. check my blog out at www,aphroditeblossoming.com! Hiya. 🙂 followed you through email since there isn’t a wordpress follow thing. Thank you so much for adding me to your weekly schedule. 🙂 Amazing. Love your photo on your About page! This is wonderful! I will join in the RTing 😉 I doubt I have any material that fits the criteria though! Thank you for doing some RTing. I’m going to try to get everyone but knowing me, someone will slip through. What a lovely idea! I don’t know that I can regularly create new content that will meet the guidelines (I try to keep my posts positive, but they aren’t specifically for that purpose), but I will definitely contribute when I can and try to visit the posts that others share. 🙂 Thanks for doing this! You can also Tweet any positive posts you may have already created if you like if you can’t do a new one. Thank you! Hi Ronovan, I won’t be around tomorrow, but I would like to take part as I have much to be thankful for, so here is my contribution to #BeWoW. 🙂 I’ll make sure to RT it tomorrow as well and possibly share the post from your site with the hashtag also. Well its maybe a bit out of date as I wrote it around new year, but the content is positive… I think… 😊 Well it feels positive to me! I’m going to add this to my Wednesday calendar. Maybe this will help with my writer’s block. Yay! Thanks.